Looking for a school can be rough. There are so many options and fake reviews to go through. A very important decision can also be the most daunting to make, while we understand the pressure involved, we have eliminated the pressure by proving a list of some of the best schools in Potong Pasir in Singapore. St Andrew Junior School is over 155 years old, the school has a tradition of cultivating TRUE and WISE students all over Singapore. The school philosophy is to create a sound student grounded in Christian principles. The school has very high moral and social values that is taught every day, and the students are encouraged to practice these principles as they relate with one another. St Andrew takes fitness very seriously with a high level of physical activity the school prepares students to be develop skills in at least three sporting activities. The curriculum is designed to build up the student’s intellectual capacity, spirituality, physicality and aesthetics, to give the best solid education and inspire the students to become thought leaders and valuable members of society. It’s a school of learning, enabling students how to learn the right way in the right learning environment. Our students are empowered to be people of integrity, people that can be trusted and are there for others. Our school is recognised for its value centred approach to education, we emphasize on learning with passion, and these are the factors that contribute to the growth of their capacity. The schools rests on the three core values of; Faith, Service and Community. The school’s vision is to inspire the students to build their own future; academically, socially, and as ecological individuals living in a multicultural world. The students are presented with life skills and given the opportunity to seek their own academic ambition. The school has a full international-Baccalaureate Program that is just in sync with US college standards. The Tre Ver condo is very near to Stamford International School, within 1km only. 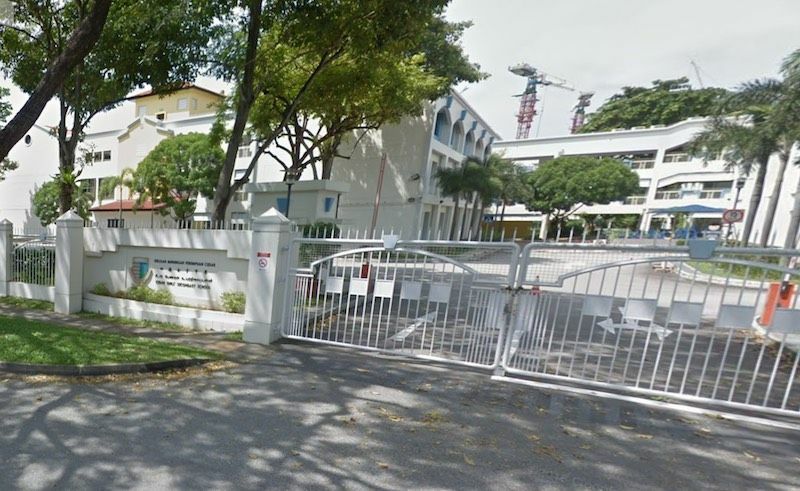 This school was started in 1988, it has gone on to become one of the leading educational chains in Singapore with over a hundred thousand students. It has a wide curriculum that can cater to students that are 1 and a half to 18 years. The school has well-experienced teachers that are trained on a regular basis, it serves as a one-stop hub for every kind of student to gain some valuable educational experience. The school social environment strives to create holistic global education that cuts across religion, political, national and social boundaries to foster the growth of international bonding. The students that attend Nanyang Junior college do so because they are looking for the best university of their choice. The double responsibility of teaching and learning is a very important task at NYJC. There is a commitment to being a standard of excellence in proving a modern learning community for practitioners can inspire passionate inquirers through teaching and learning that is relevant and productive. Learning needs are assessed to for students to have a grasp of their educational styles, reports are produced and students get to self-discover their learning habits and they also help the students to become better learners. With this process in place, the college is able to ensure the teaching and learning programs exceed or at least at part with the student’s needs.